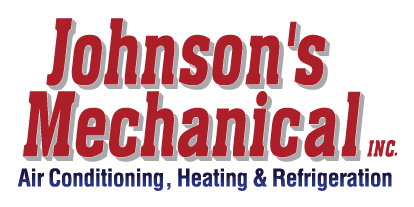 Heating, Lakeland, FL | Johnson's Mechanical Inc. Heating, Lakeland, FL | Johnson's Mechanical Inc.
We’re here to help you keep your Lakeland, FL home’s heating system in good shape at all times. Even though the Lakeland, Florida area boasts mild temperatures and sunshine on most days throughout the year, things can still get chilly, especially after the sun goes down in the winter. This is why, while having a working air conditioner is always important, so is having a heating system in your home you can rely on. At Johnson’s Mechanical Inc., we’re here to help you keep your home’s heating system in good shape at all times. Whether you need someone to come and make sure things look good before the onset of winter or your furnace makes weird sounds whenever it turns on, we’re here to help. We’ve been working with heating systems since 1982 and are confident that we can take care of all of your repair and maintenance needs. In addition to repairing and installing furnaces, we’re also a premier provider of heating installation services. When we install your new heating system, we’ll follow the manufacturer’s exact specifications, stick to an efficient timeline, and make sure your new furnace works effectively and efficiently before we go. When it comes down to it, we’ll do whatever it takes to exceed your expectations. The next time you need some work done on your home’s heating system, pick up the phone and give us a call at Johnson’s Mechanical Inc. We look forward to hearing from you and to helping you maintain your home’s comfort now and in the future.